The name the email will be set to be from. The contents of the HTML template. The contents of the Plain Text version of the template. Unset, WebMailForward, Webmail or Delete. The email address replies should be forwarded to. 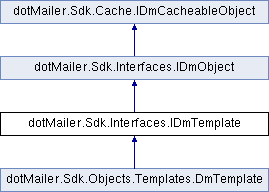 An interface describing a dotMailer template.